Be the first to share your favorite memory, photo or story of J. This memorial page is dedicated for family, friends and future generations to celebrate the life of their loved one. 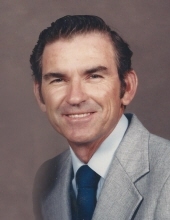 John Talbert Andrus, affectionately known as JT and Papa went to be with his Lord and Savior on November 24, 2018 at the age of 76. JT was born on March 8, 1942 to parents A.A. Jack and Zelma (Gentry) Andrus of North Zulch. JT is survived by his loving wife of 56 years, Patricia Andrus of North Zulch; daughters, Sondra Andrus Spikes (Lamar) of Normangee, Cheryl Andrus Spikes (Kelly) of Normangee; son, John Alan Andrus (Lea Ann) of Bryan; grandchildren, Megan Spikes Herrington (Colton) of Longview, Dustin Andrus (Jennifer) of Normangee, Melanie Spikes of Little Rock, AR, Kelsey Spikes of Baton Rouge, LA, Payne Andrus of Conroe, Macy Spikes Howell (Jared) of Tyler, Stormy Spikes of Justin, Madisen Spikes of Normangee, Adelyn Spikes of Normangee, and Kaleb Andrus of Huntsville; great-grandchildren, Beck Herrington, Emma Herrington, and John Tyler “JT” Andrus; brother, Ed Andrus (Brenda) of Crockett; sister, Laverne Andrus of Friendswood; cousin, Donald “Duckie” Andrus (Charlene) of Columbus; brother in law, Dennis Whitmire (Aline) of Buna and numerous nieces and nephews. JT was proceeded in death by his parents; brothers, Jimmie Ray Andrus and Alvin Reed “Butch” Andrus; sister, Wanda Andrus Buckner; and great-granddaughter, Evelyn Herrington. JT retired after 39 years as a sales manager for Valley Valve and Supply Company. In his younger days, JT enjoyed hunting and sports, especially basketball. He was a hardworking man who provided for his family and loved them unconditionally. JT loved spending time with his children, grandchildren, and great-grandchildren. His hobbies included tending to his cows, working in the garden, and attending every event in which his family was involved. He loved his family and he was very proud of each and every one of them. Over the years, JT volunteered for several organizations. He served on the North Zulch ISD School Board for 15 years, church Deacon, youth Sunday School teacher, Sunday School Director, and as a member of the North Zulch Water Board. Visitation with the family will be Monday, November 26, 2018 from 5-7pm at Madisonville Funeral Home. The funeral service will be held Tuesday, November 27, 2018 at 2:30pm with Rev. Dennis Whitmire officiating at Madisonville Funeral Home. Burial will be immediately following at Willowhole Cemetery. Pallbearers will be Dustin Andrus, Kelsey Spikes, Payne Andrus, Stormy Spikes, and Kaleb Andrus. Final arrangements are under the direction of Madisonville Funeral Home in Madisonville, Texas. To send flowers or a remembrance gift to the family of J T Andrus, please visit our Tribute Store. "Email Address" would like to share the life celebration of J T Andrus. Click on the "link" to go to share a favorite memory or leave a condolence message for the family.